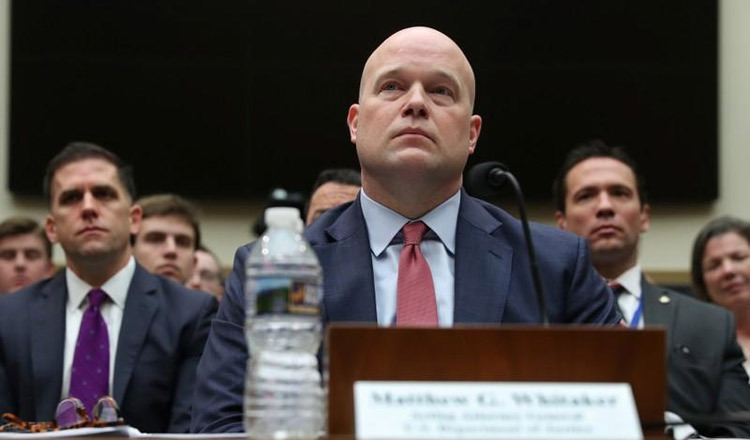 WASHINGTON (Reuters) – Acting US Attorney General Matthew Whitaker snapped back on Friday at newly emboldened Democrats in Congress who are pushing for information on the special counsel’s Russia probe as they try to put President Donald Trump’s administration under greater scrutiny. Mr Whitaker, a Trump appointee, said he had not “interfered in any way” with Special Counsel Robert Mueller’s investigation into whether Moscow tried to tip the 2016 presidential election in Mr Trump’s favour or colluded with the Trump campaign. In a combative hearing in the House of Representatives Judiciary Committee, Mr Whitaker said he had not talked to Mr Trump about the probe. Democrats, who took over the panel after winning the House at last year’s midterm elections, accused him of being evasive. The hearing room erupted in gasps when Mr Whitaker pushed back strongly against a question from Chairman Jerrold Nadler, a Democrat, about whether he had ever been asked to approve any action requested by Mr Mueller. “Mr. Chairman, I see that your five minutes is up,” Mr Whitaker said, in a bold challenge to the head of the committee. “I am here voluntarily. We have agreed to five minute rounds,” he added. “Answer the question please,” Mr Nadler replied. 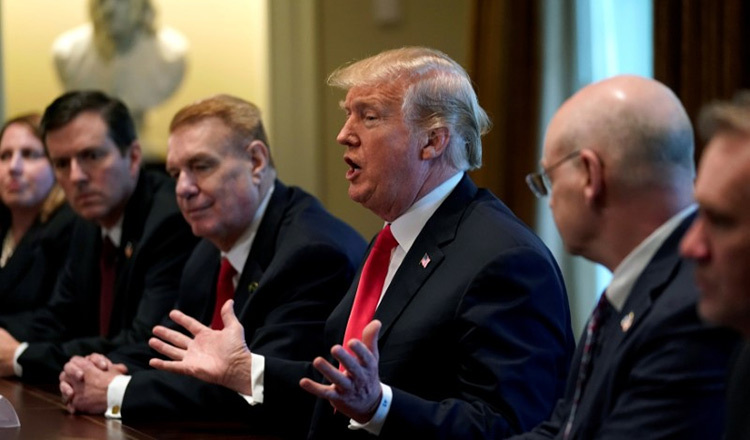 Mr Trump’s decision to appoint Mr Whitaker sparked controversy given that the acting attorney general directly oversees Mr Mueller’s probe, which Mr Whitaker has publicly criticised in the past before joining the Justice Department in 2017. Democrats repeatedly accused Mr Whitaker of running out the clock by giving them evasive or repetitive answers in the hearing. “Mr. Attorney General, we are not joking here and your humour is not acceptable,” she said. But Mr Whitaker did say he had not discussed the Russia probe with Mr Trump, either before he worked at the Justice Department or after he became acting attorney general. Russia has denied any meddling in the 2016 presidential election. Mr Trump has repeatedly said there was no collusion between his campaign and Russia and has called Mr Mueller’s investigation a witch hunt. Political drama erupted on Thursday when Democrats threatened to serve Mr Whitaker a subpoena if he failed to answer certain questions at the hearing. Mr Nadler later agreed to drop the threat, after Mr Whitaker said he would back out from testifying if the subpoena was served. During the hearing on Friday, Mr Nadler threatened to force Mr Whitaker to go back in front of the committee for a deposition. He accused them of character assassination and suggested the hearing was political theatre. “Bring your popcorn,” he said. Justice Department ethics officials have recommended Mr Whitaker recuse himself from overseeing the Russia investigation, a step he chose not to take.